Successful calf rearing requires an understanding of the basic principles, as well as experience and good observation skills. Profitable calf rearing needs to be centred on providing the right environment and nutrition for animals to reach set growth and development targets, ultimately with heifer replacements calving down at 24 months. For the beef herd the aim is to maximise Live Weight Gain so as to shorten the fattening period. Rumen development of the calf is a fundamental part of the long term production and profitability of that animal within the herd. It is essential that the calf is provided with the right balance of nutrients for growth and development while also supporting a strong immune system. When purchasing calves it is recommended to follow a number of guidelines. 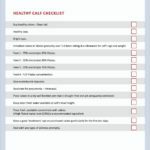 Agritech have come up with a Healthy Calf Checklist (0.4MB) to use. Calf Rearing Guide: Practical and easy to use. S.J. Charlton. Published by Context. For more information, browse our Vitalac Calf Milk Replacer page or download the Agritech-Milk-Replacer-Brochure (2.5MB). To buy our Vitalac Calf Milk Replacer, contact your local distributor.